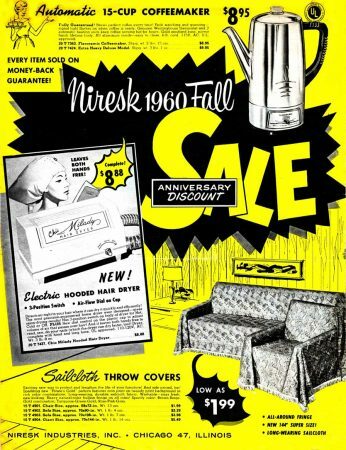 Most of the stuff in this 1960 Niresk catalog is, just…well…cheap stuff. Nothing more, nothing less. Products are stuffed into pages fairly ungraciously. And this stuff has stuff stuffed into it, no less. No better example than the awkwardly contemporary 4-in-one Phone Table/Writing Desk/Bench….with Lamp featuring a “Marlite” plastic-top table that looks like woodgrain. The vinyl padded seat part came in ’60s colors including coral and turquoise. A bargain at $17.95. 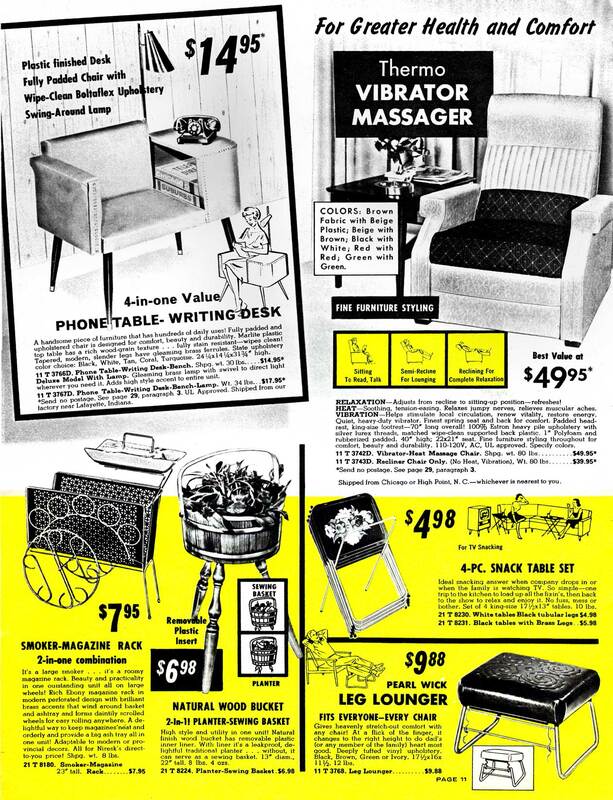 It’s just a whole lotta stuff, from the heart of the the consumer age. Previous Previous post: How the other half pooped. Next Next post: Get Me Clark Kent!